China will make further tax cuts worth over 60 billion yuan ($9.4 billion) to drive innovation and entrepreneurship and boost the development of small and micro businesses, a State Council executive meeting presided over by Premier Li Keqiang decided on April 25. The move aims to reduce the cost for innovation and entrepreneurship, energize small and micro businesses and spur job creation. As part of the efforts to implement blueprints set out by the Central Economic Work Conference and the Government Work Report, the annual taxable income threshold of small and micro businesses eligible for halved income tax will be raised from 500,000 to 1 million yuan. The per unit value of newly-purchased R&D instruments and equipment eligible for one-time tax deduction will be raised from 1 million to 5 million yuan. These two measures will be effective from Jan 1, 2018 to Dec 31, 2020. President Xi Jinping has stressed that the country needs to encourage more entities to make innovations and start businesses and support the innovations by small and medium-sized enterprises. “We must work hard to cut the cost of the real economy, bring out the vitality of all market entities by lifting the discriminatory restrictions and hidden barriers in taxation and other respects, and see that all the policy incentives for SMEs and micro businesses are fully delivered,” Xi said. In his Government Work Report delivered in March this year, Premier Li said that the government will further lighten the corporate tax burden. Far greater numbers of small, low-profit businesses will see their income tax halved and the ceilings on deductible business purchases of instruments and equipment will be significantly raised. The pilot preferential tax policies for venture capital investment and angel investment will be extended nationwide, he said. According to a decision made at the meeting, the tax incentive enjoyed by venture capital firms and angel investors that sees 70 percent of their investment deducted from the taxable income of the seed and early stage high-tech startups they finance will be extended nationwide. The policy has been piloted in the country’s eight innovation and reform experimental zones, including the Beijing-Tianjin-Hebei area, Shanghai and Guangdong, as well as in the Suzhou Industrial Park. Such tax cuts will be implemented from Jan 1 for corporate income tax and from July 1 for personal income tax this year. The meeting also decided to abolish the preclusion of the expenses of commissioned overseas R&D from additional tax deduction. The time limit for the capital loss carryover of high-tech firms and technological SMEs will be extended from 5 to 10 years, pending approval by the Standing Committee of the National People’s Congress. All enterprises shall see the tax deduction for their employee training costs raised to 8 percent, the same rate as high-tech companies enjoy, from the current 2.5 percent. These three measures are effective from Jan 1 this year. Premier Li said that while this round of tax cuts is targeted at small and micro businesses to spur innovation, the whole economy stands to benefit. Though being the biggest job providers, small and micro businesses have long had difficulty in accessing affordable financing. Supporting their development is critical to ensuring employment. The meeting also adopted measures of stamp duty relief for books of account starting from May 1. All the above mentioned measures are expected to reduce the corporate tax burden by over 60 billion yuan. The move follows a 400 billion yuan tax cut package for 2018, which was decided at a State Council executive meeting on March 28. 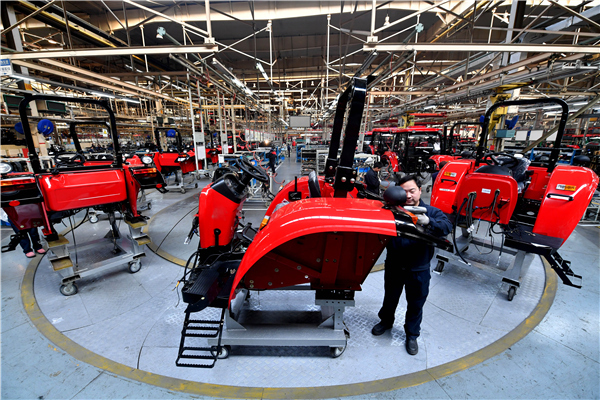 Premier Li stressed that while the well-established firms receive due attention, greater support must be extended to all growth enterprises, including SMEs and micro businesses. “Tax cuts and fiscal input are like the two sides of a coin. Both can catalyze innovation,” he said. The Premier once again called for full implementation of the above policies to deliver concrete benefits to all businesses concerned.